• Helping children learn to do things for themselves and to make decisions and choices. • Helping children learn to get along with others. • Helping children develop self-esteem and a positive self image. • Teaching children good health practices, hygiene and nutrition. • Providing a variety of experiences through learning by discovery. • Providing age-appropriate learning activities that will help prepare children for kindergarten and later schooling. Deborah is a Charlottesville native with over 18 years of experience working with children. A graduate of Shaw University in Raleigh, NC with a business management degree, she has served in many managerial roles before settling back into the Charlottesville area with her family. Since 2004, Deborah has held various positions both for the Charlottesville city schools & Parks & Recreation. Most recently, she served as the site director for the creative learning after school and summer program at Johnson elementary. Deborah also serves as a co-director of Zion Union Baptist church’s youth group. Deborah’s combination of leadership experience and long-term commitment to working with young children makes her uniquely qualified to lead Barrett ELC. Ms. Amber is from Fluvanna County. She received her bachelors in Elementary education in 2018 and is currently working on her Master’s in Education. Ms. Amber has 12 years of pre-school experience. Prior to joining Barrett , she had working at Johnston Elementary for four years. Ms. Ayana is a Charlottesville native and has been working in child care at Barrett ELC for 7 years. In 2018 Ms. Ayana was certified as a child development associate. She is committed to making a difference in our community. Ms. Cheri has lived in Charlottesville all her life, graduating from Monticello High School. Passionate about her vocation, Ms. Cheri has been in child care for 19 years, five she has been with at Barrett ELC, and recently earned her child development associate degree. She absolutely loves teaching pre-school where she can instill a love for learning in each student she has. Ms. Dawn and her family have lived in the Charlottesville surrounding area for 26 years. She graduated from UVA with a Bachelors in French and received her Master’s in Social Work from VCU. Ms. Dawn recently joined Barrett ELC and fins joy in helping young people learn. 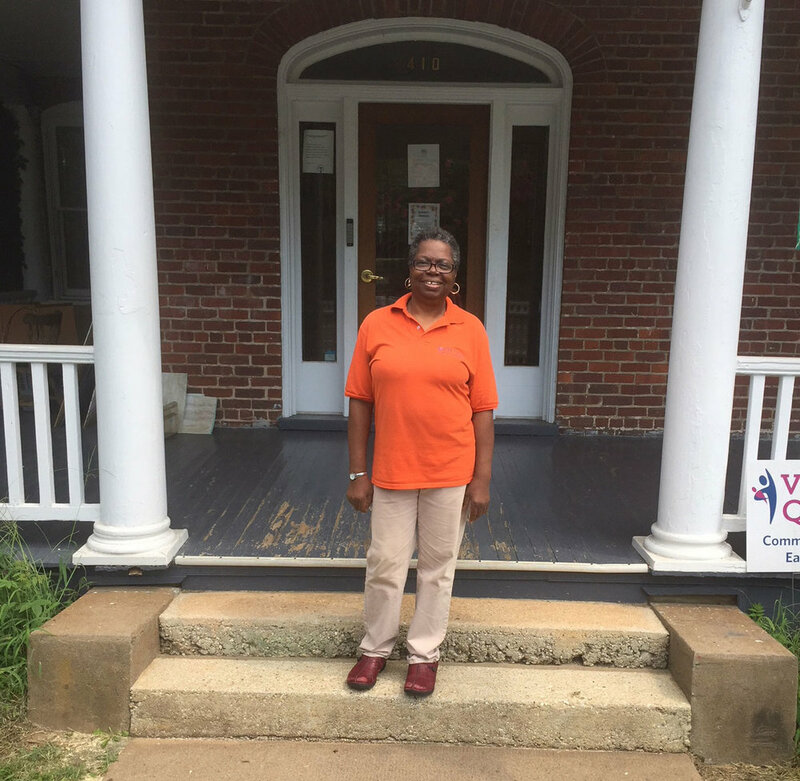 Ms. Deloris is a Charlottesville native, and has been in child care for over 40 years. She joined Barrett in 2000. As a teacher assistant , Ms. Deloris has taken many courses in early child care education and is passionate about working with the two-year olds. Born in New York City and raised in Bracey, VA, Ms. Eunice and her family have lived in Charlottesville for 22 years. Ms. Eunice attended St. Paul’s College in Lawrenceville, VA where she studied English and early childhood education. She has been in child care for 18 years, 16 of those with Barrett ELC and is currently the lead teacher in the 4-year-old program classroom. Ms. Tishawn is a Charlottesville native, and has been in child care for 8 years. After spending years teaching She is excited to expand her role at Barrett as the assistant teacher for the 3-year old’s working with Ms. Cheri. Ms. Tishawn also has experience as a camp counselor, lead teacher, recreational coordinate and volunteering. She is well underway to completing her child development associate certification.